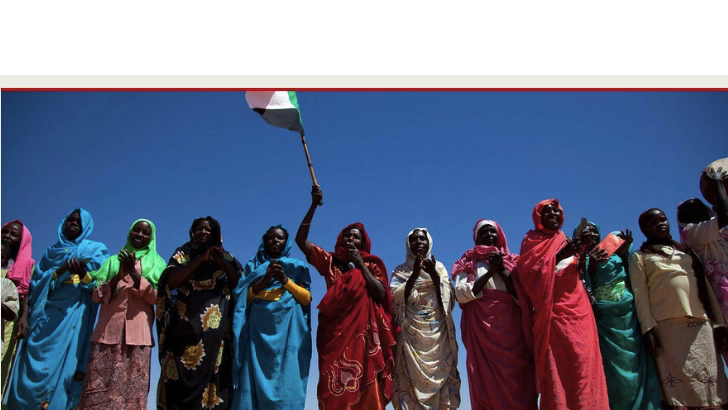 The United Nations Women’s Organisation and a Sudanese training centre organised a workshop on strengthening women’s participation in peace building in Zamzam camp for displaced people in North Darfur yesterday. The two-day workshop, focused on peace building and the Darfur peace dialogue, launched in the camp south of El Fasher city. The UN Entity for Gender Equality and the Empowerment of Women (‘Women’ in short) and the Maamoun Buheiri Training Centre hosted the session with the participation of more than 50 people, from women leaders in the camp to representatives of civil society organisations. A representative of the Maamoun Buheiry Centre explained that this workshop comes within a series of 50 workshops which the centre organises in cooperation with women partners in various Darfur states. They are financed by the African Bank in Sudan. Last week, a number of Khartoum-based women’s and human rights organisations launched the #WeAreMany campaign to combat violence against women and youth, child marriage, and forced marriage. A Sudanese human rights organisation recently highlighted an increase in sexual and physical violence against women and children in the country, as well as endemic female genital mutilation (FGM).